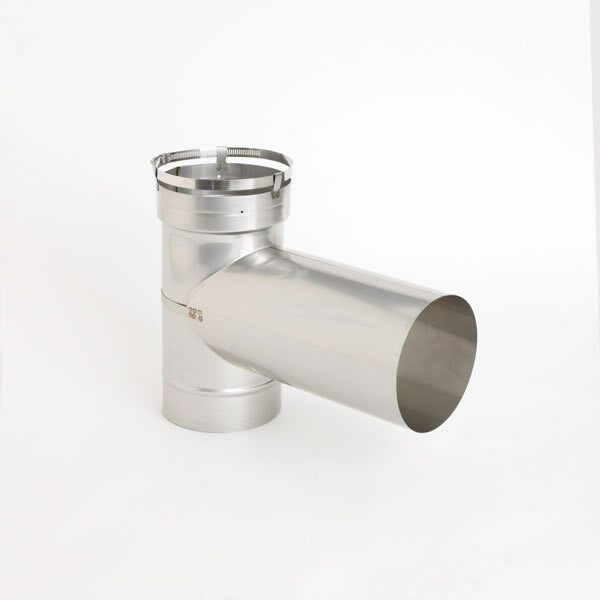 This is a short-body tee section for use with the HomeSaver UltraPro 5.5" chimney liner pipe. The band connection clamp connects the sections without the need for pop rivets. It has a 10" uncrimped, removable take-off that is held on with a band connection. Make sure that your chimney is constructed of parts that are designed to work together and with your heating appliance. For the safety of your home, ensure that the vent is constructed in accordance with all safety codes and regulations.